Some of the best ideas tend to be simple ones. And for versatility and avoiding the need to unbolt guards, these new adjustable Machineart ADVance Guard Handguards could well make the cut. With the frame fitted, you can choose to slip an insert in for additional warmth and protection, and also slide a shield up and down for more coverage. So you don’t have to take them on or off, and then discover the bolts went missing in the garage in the Summer. Or they’ve seized up on your bike. 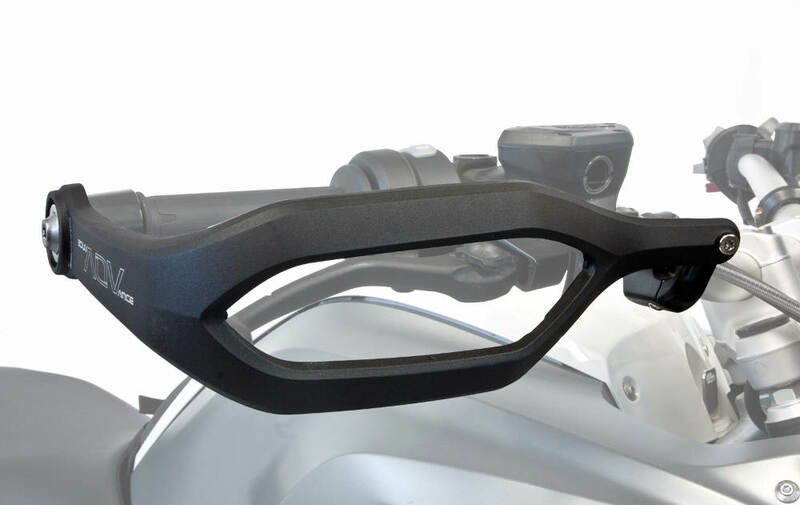 The Machineart ADVance Guard Handguards consist of a wide aluminium Safety Frame which allows the air to pass through it. But still means your hands, brake and clutch levers are protected from knocks, scrapes and falls. Which is useful. And it fits to the handlebars and bar ends with lightweight forced aluminium mounts shaped to avoid messing with any cables. And they look alright for everyday riding, too. But what happens if the weather gets cooler? Then you just snap in the Machineart ADVance Guard Handguards Insert, obviously. So that will provide some extra wind and weather protection for your hands. And also more defense against stones and other debris hitting your paws. So if you’re riding off-road behind someone, it’ll mean less chance of getting a pebble propelled by a rear tyre into your digits. If you’ve had it happen, you know how much it hurts. But what if it gets even colder? Or the bike in front is sending up a rooster tail of gravel and debris? 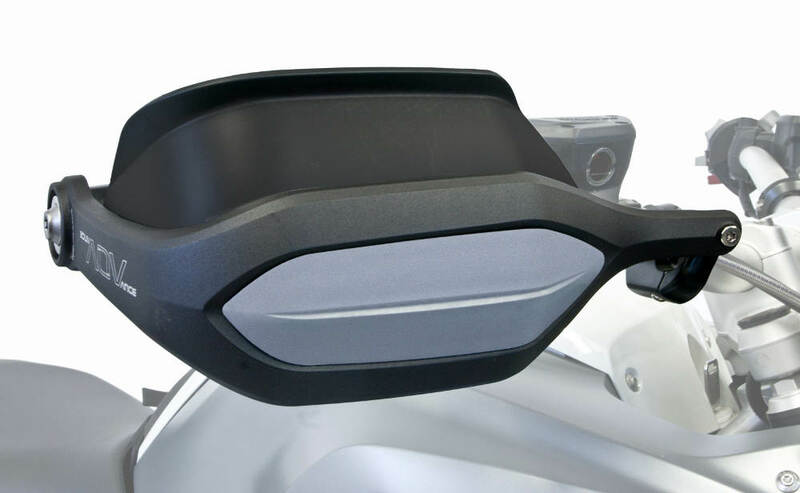 For the coldest conditions, there’s the Machineart ADVance Guard Handguards Adjustable Shield. Like the insert, it’s made from a resilient plastic polymer, and it’s quick to attach or remove. And once fitted, you can raise it up to 142mm to stop anything hitting your hands, and keep more of the chill away. 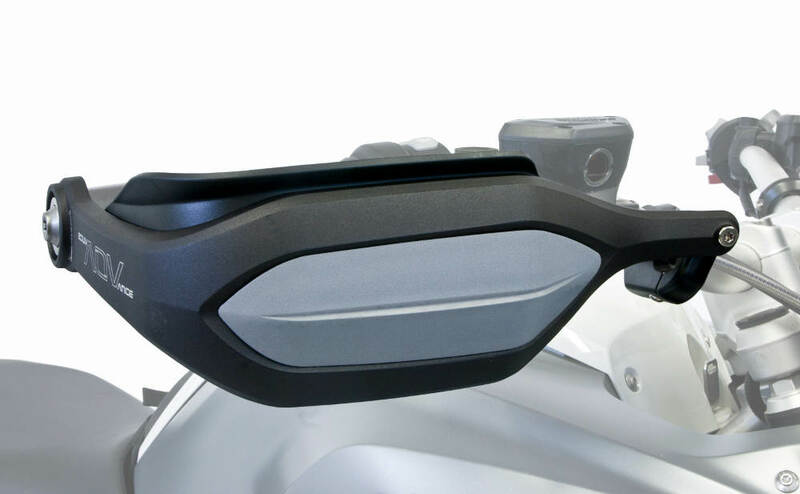 More bikes are being added to the list in 2018, and the Machineart ADVance Guard Handguards cost £189, which included a model-specific fitting kit and instructions.